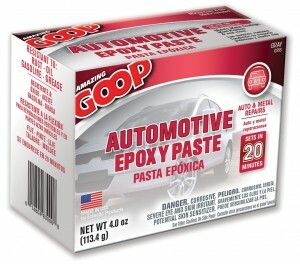 Automotive Epoxy Paste bonds to metal, fiberglass and most plastics and sets in 20 minutes. It forms a weatherproof bond and offers high impact resistance with no sag. Once cured, it can be sanded, ground, drilled, tapped and painted with most paints.